This is an outstanding example of the new school of socially and politically committed literary criticism. 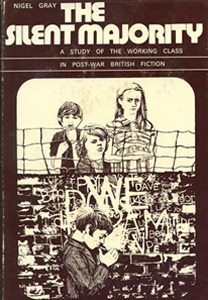 Opening with a witty and provocative commentary on the condition and attitudes of the working class, Nigel Gray proceeds to a carefully documented analysis of the work of such writers as Barry Hines, Keith Waterhouse, Brendan Behan, David Storey, Bill Naughton and Alan Sillitoe. The result is a study that challenges comparison with Richard Hoggart’s The Uses of Literacy.